Gum disease is a serious condition that can result in tooth loss or damage to you gums and jawbones. Brushing, flossing, and professional cleaning are your best defence, however if you do develop gum disease you will require specialized treatment. Chatham-Kent Dental provides periodontics services to prevent and treat gum disease. Over time, plaque can create a substance called tartar on your teeth. Tartar is harder than bone and can’t be removed by flossing or brushing. 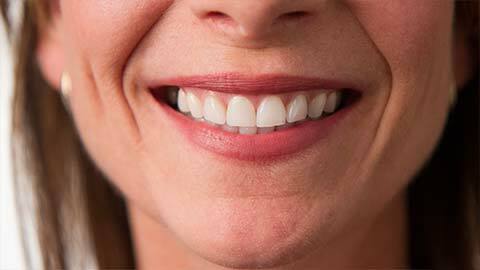 It can only be removed by a dentist or hygienist using special tools. If tartar buildup becomes serious and spreads above the gum line, it becomes necessary to use deep cleaning techniques called scaling and root planing. These techniques use special tools to scrape tartar and irregularities from the roots of your teeth, preventing infection and gum disease. A damaged or diseased tooth presents a risk to other teeth and must be extracted. Extractions are performed in our office under local anesthetic with sedation options. The socket left by an extracted tooth normally fills up with tissue after the extraction. However, in some cases this doesn’t occur and the socket is in danger of collapsing, causing damage to the surrounding jaw bone. We fill these empty sockets with donor tissue to strengthen them and prevent this from happening. To “lengthen” a tooth we can remove gum tissue from around the base of the tooth, exposing more of the enamel. This is done for cosmetic reasons or to make the tooth ready for a dental crown. Regular dental examinations are the best way to catch gum disease before it becomes serious. Book an examination with Chatham-Kent Dental today.